It was one of the worst hotels I have ever stayed...and even more if you have booked thru any portal. The hotel reception himself told me that they discourage people to book thru portal and there regular rates are too high. Theres no grade for this hotel still the hotel tariffs are of 3star properties. Whatever you have saved on portal they will charge illegally during ur stay. The rooms ate also not clean. Room tea coffee sachets were never available. Everytime you have to ask for them. My room telephone was not working and the technician kept coming to check the phone disturbing me everytime. I had to go to reception everytime to order something. They didn't change my room as well. May be thats the punishment of booking thru portals. My food bills were overcharged. I checked it got my money back. Make sure you check every bill and count it. I would never suggest this hotel to anyone. 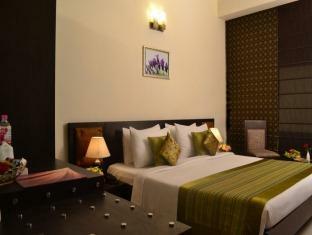 There are many nice hotels nearby within walking distance which are million times better than this. Not bad for thr price, free wifi, nice staff, check in takes too long time, too many details required during check in. 1) When we arrived, the middle aged receptionist started to talk to someone on phone and did not even greet us. He made us wait until he finished his call. 2) He wanted us to leave our passports so that he can make copies and send them to us later. When we refused he grumbled and started scanning our passports. We protested and said that he is not supposed to scan our passports but make photocopies only. He replied that he has to do it and it is a standard procedure. I think this is a serious security concern. 3) When we went to the room, there was no hot water. They informed us that their boiler was broken so they cannot provide us hot water. We left the hotel next morning at 7.30 am and until then there was no hot water. They did however provided us with a few mugs of hot water to wash. Bottom line, avoid like plague! 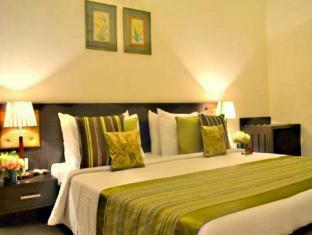 fairly good hotel and decent, clean rooms. the hotel staff is attentive . the only issue is the very average and passable food especially the breakfast. 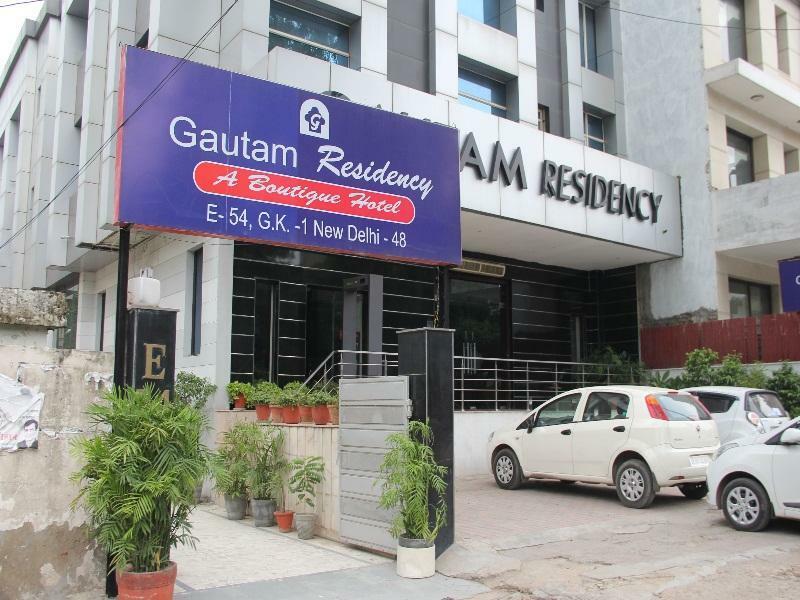 But then given the location and the pricing ,staying at gautam residency makes lot of sense. It is an OK hotel, location is a plus point, however room standards falls short least expectations. I stayed here for 8 days alone, and felt safe, comfortable and relaxed. The room was clean, and while there were minor problems (broken blind, hot water sometimes off)these were quickly fixed. The staff were professional and competent - my only complaint would be that the room service staff didn't always speak enough English to make ordering easy. However, overall it was a great place, and its location is excellent - it's a 15-minute walk from M-Block market and Kailash Metro station, and 10 minutes from Kailash Colony market. staff was nice to help us to negosiate taxi fare to the airport to the driver. but our room,no hot water in the bath room. Bei Boutique-Hotel habe ich bestimmte Vorstellungen. Hier hat man das Gefühl, das Ansätze da sind, aber es wirkt alles doch etwas heruntergekommen, sei es mit klemmenden Schranktüren, Feuchtigkeit an den Wänden, ein sehr kleines Badezimmer, wo es auch hier und da klemmt. Also alles in allem war ich enttäuscht, zumal die Vorbewerter so hohe Punktzahlen vergeben haben. Auch das Frühstück war sehr insuffizient, es fehlte praktisch immer die Hälfte, sei es Geschirr, Besteck oder Lebensmittel. Auf Nachfragen wurden die Dinge zwar gebracht, aber es war schon lästig, und die Qualität: na ja. สถานีรถไฟใต้ดิน Kailash Colony - ระยะ 0.83 กม.